"Snowmen at Night" is one of my favorite winter stories. It is fun to imagine what your snowman would do at night. 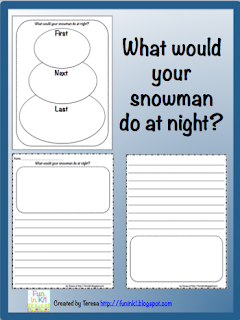 Students can use this graphic organizer and writing paper to share with everyone what their snowman would do! Come on over and visit to get a copy FREE!